The Constella Small is the offshoot of the large fixture. 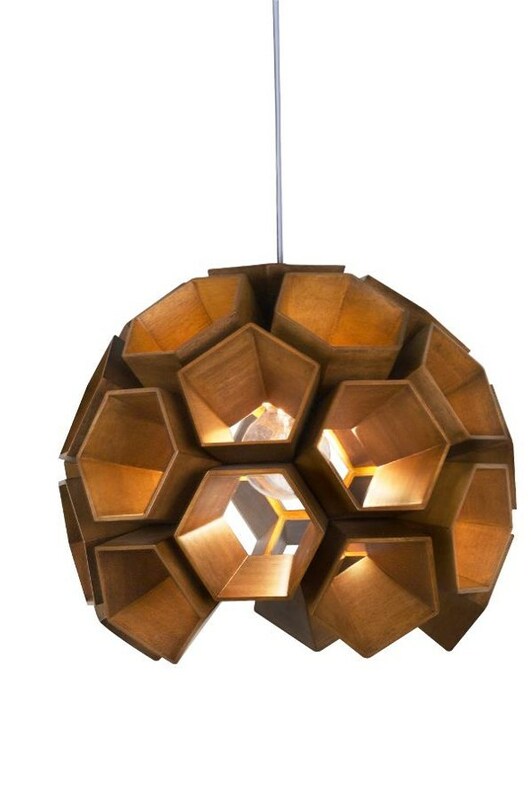 Also with a honeycomb design, this 16” diameter piece is composed of carefully crafted wood pieces. It radiates warmth and style. Designed by Vito Selma.